International Fellowship of Christians and Jews raised $600,000 from US Christians to provide aid to terror victims and Border Police. The International Fellowship of Christians and Jews (The Fellowship), led by President Rabbi Yechiel Eckstein, has raised hundreds of thousands of dollars to help Jerusalem, Border Police, and local social-service groups counter the ongoing terror wave against Israel. The $600,000 funded from Christians across North America will be used to purchase security equipment and other means of support for those fighting in the front line against terror. Days after the latest terror wave began, The Fellowship became the first organization to offer financial aid to terror victims, providing about NIS 4,000 (about $1,040) to help victim's pay for medical care and overcome lost wages. 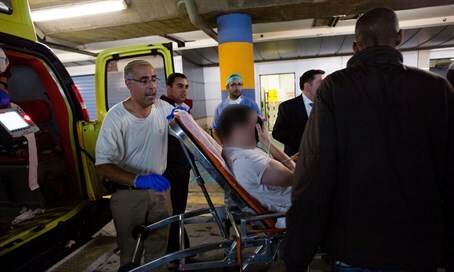 Over 60 people wounded in terrorist stabbings and car attacks have so far received 240,000 NIS ($64,000) from The Fellowship. The organization is also providing a $375,000, state-of-the-art mobile-command vehicle to the Jerusalem municipality to help security forces confront threats and other emergencies in real time. Meanwhile, The Fellowship has also delivered 4,100 specially equipped backpacks worth nearly $200,000 to the Israel Border Police. The backpacks contain mobile phone chargers, fleece jackets, camelback canteens, gloves and neck warmers. Finally, The Fellowship is providing 11 social service organizations across Jerusalem, including social clubs and soup kitchens, with more than $100,000 to hire security guards, and pay for transporting participants to and from their homes. “I would like to thank Rabbi Yechiel Eckstein and The Fellowship’s hundreds of thousands of donors throughout the world, who steadfastly stand with Jerusalem in times of need, helping us protect Israel’s national and municipal home fronts,” Jerusalem Mayor Nir Barkat said.